An active parent recently reached out to our school to let us know about an article that had been run by a local media outfit. The article had circulated through our own offices, because it related directly to our learning community. The article depicted how cyber schools are viewed in the larger public eye, and what one senator hopes to do about it. As a learning community, it is critical that we are well informed of what is being written and published about cyber schools. Our community is comprised not only of teachers and students, but also parents, staff, and the greater public that will be affected by the education of its citizens. In reality, cyber schools are eligible to receive a portion of the monies used by each school district to educate our children, on a per pupil basis. This means that if it costs a school district $10,000 per pupil, per school year (for example), only a portion of that money is send to the charter school to pay for school expenses. Deductions are allowed, per a funding formula crafted by the state several years ago. This formula is not a form of tuition. It asks schools to transfer funds that they will no longer use, when a student leaves his/her home school district. In most cases, due to deduction allowances, the total funds received by a charter school is much less than what a school district actually spends on its students. It is questionable whether or not a newly proposed bill will speak to the real consumers in need: the students. Building in-house cyber programs for each school district and may restrict the “school of choice” paradigm. “School choice” means providing different types of schools to students throughout the state, which allows children the opportunity to explore an educational experience most in sync with their learning styles. Retaining children in a district-based cyber learning experience removes their ability to choose the type of learning environment in which they can thrive. Finally, a question was raised as to whether or not our cyber schools are producing results. 21CCCS has made AYP fairly consistently over the years. Our students are attending prestigious colleges and universities. They are pursuing their dreams with the foundation build through our form of education. We are empowering students by giving them the opportunity to learn in a way that suits them. It is not only important to understand the implications of articles published in our area. It is important to recognize that the misrepresentation of facts may lead legislators to craft new alternatives to education that may inhibit your child’s ability to succeed. 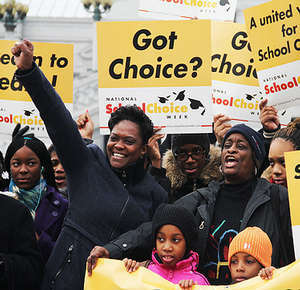 Being informed and active in your community can help to get the message out about school choice.